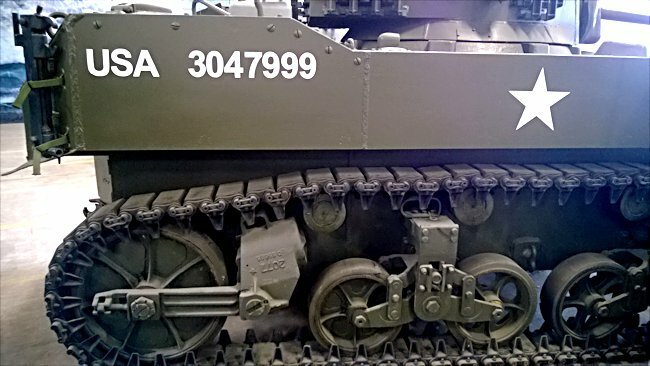 This Stuart Light Tank M3A1 can be found at the French Tank Museum in Saumur in the Loire Valley. The Museum is called Musée des Blindés ou Association des Amis du Musée des Blindés, 1043, route de Fontevraud, 49400 Saumur, France www.museedesblindes.fr . The word Blindés means armoured. In the spring of 1941 rumours were already circulating back to British tank crews preparing for action that the Crusader and new M3 Stuart tanks currently in use in the Desert were no match for the German Panzer Mark III and Mark IV tanks in equal combat. Yes the guns on the British tanks could knock out these enemy tanks but the problem was the poor effective range of the British guns. British Tank driver Jack Rollinson commented, "They could knock out a German, but the problem was you never got close enough before he gave you a thoroughpasting. When we did knock out a panzer it was usually more by good luck than good judgement." Gunnery was the main inadequacy of the British tanks at that time. It did not help that the Germans had learnt the lessons from the Blitzkrieg and the Battle for France. Their panzers did not have enough armour to protect their crews compared to the French Char B1-bis heavy tank and the British Matilda II tank. Shells fired from the guns fitted to their tanks just bounced off the frontal armour of the Matilda and Char B1. The Panzers that were now being used in the Desert Campaign had upgraded armour and main gun. The situation had now been reversed. After an abortive raid by Rommel in the North African desert campaign in November 1941. British General Cunningham launched ‘Operation Crusader’ counter attack on 18th November with 750 tanks of which 280 were the newly arrived US made M3 Stuart Tanks (nicknamed ‘Honey’ by the British tank crews), supported by 600 guns. Rommel quickly regrouped the resources of his two Panzer Divisions and the strength of the Italian Army to concentrate their forces so that he could deliver concentrated counter blows against the dispersed British Armoured Brigades in a series of bloody engagements. At one point the British tanks strength was reduced from 350 tanks down to just 50 tanks in four days. Cunningham was replaced by General Neil Ritchie. Rommel over reached his supply lines when he made a dash for the Egyptian border. He started to run out of fuel, ammunition, water and food. The British were fighting during the retreat and reduced Rommel’s panzer force to just forty German and thirty Italian battle ready tanks. He was forced to retreat to the original start point. He had lost 195 tanks. Captain Robert Crisp of the 3rd Royal Tank Regiment, commanded a M3 Stuart Honey tank. He dreaded coming up against the German 88mm Krupp Flak Gun when used in an anti-tank role. "The Flack gun’s 3,000 yard range meant that we would be within range of it for 1,800 yards before we could even fire off a shot from our 37mm gun’s maximum range of 1,200 yards. Eighteen hundred yards in these circumstances, is a long way. All British crews feared the 88mm." Only the mobility and speed of the Stuart light tank could save it. The 5th Royal Tank Regiment had lost most of its A9, A10 and A13 cruiser tanks during the first offensive by the newly arrived German Afrika Corps led by Rommel. Amazingly enough, only nine of these poorly armed and thinly armoured tanks had been knocked out, 75% of the regiments tank strength had simply broken down through mechanical failure. They had to be abandoned..
On 22 July 1941 the 5th RTR receives some new tanks from America. 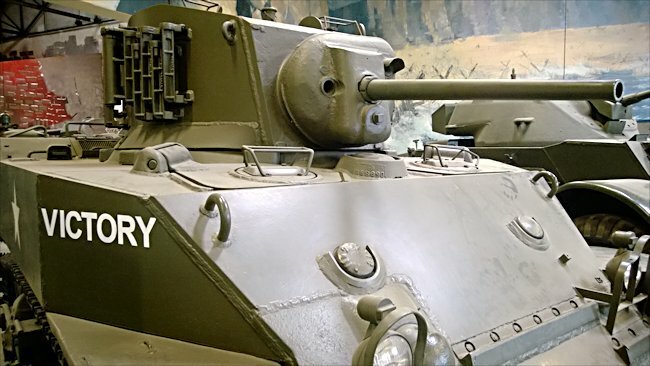 It was the M3 Stuart light tank, known affectionately as the 'Honey'. In some ways it was very similar to the tanks they were used to. It was similar in weight to the British Cruiser tanks. It only had a 37 mm gun, which was also similar, but the key difference was that the Americans used tried and tested off-the-shelf technology. This may the M3 Stuart tank much more reliable.. The suspension the track wheels came from an American agricultural tractor that had been in use since the 1930s. The engine was from a fighter plane. It was a radial piston engine. What this all meant was that the Honey would keep going far longer without breaking down. A nice side-effect of the air cooled engine was that you did not need water for a radiator. Water in the desert campaign was a very precious resource. The engine sucked the air it needed through the crew compartment, thus providing a form of cooling air-conditioning.. 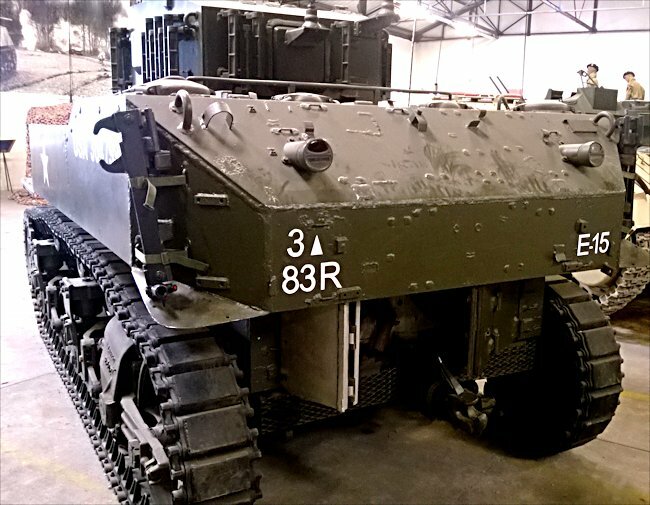 The men of the 5th Tanks were going to test this tank to the limit during operation Crusader. On 18 November 1941, after four long months of preparation, the British crossed the border back into Libya. As part of the 7th Armoured Division, the 5th Royal Tank Regiment helped make up a 750 tank army. This was twice the number available to Rommel at this stage of the war. . They also had generous air support from the RAF. The operations objectives was to retake Libya, relieve the siege Tobruk and destroy the Afrika Corps. They hoped to envelop the Germans and Italians by using a left hook manoeuvre. This would bring them close to the Tobruk Garrison, who hopefully will be able to break out to meet them.. Within two days of crossing the border between Egypt's and Libya the 5th Tanks had bypassed the enemy front line and driven 150 miles into enemy territory. 5th RTR M3 Stuart tank commander Gerry Solomon recalls, " When we had got the Honeys that was when we really got involved in the fighting. The Honey was a very manoeuvrable tank. And we could get in places where others, like the heavy Matilda tank, could not get." . The honeys speed and reliability enabled the tanks of the 5th RTR to speed ahead to the airfield of Sidi Rezegh near Tobruk. The British sees it with a surprise attack, but soon that success turned sour. The British commanders thought that the tactic of rushing the Germans, like the charge of the light Brigade, might work to their advantage.. The British tank crews thought this tactic was mad but had to follow orders. Trooper Jake Wardrop made the following entry in his diary, "It was decided to give them the good old charge again. Quite frankly I was not so strong for this charging business, although we continue to do it and off we went. We went storming right into these tanks firing as we went.". Rommel had to break out the British encirclement or face defeat. The airfield at Sidi Rezegh became the focus of his breakout efforts. German 80 mm anti-tank guns and panzers slugged it out the British. One tank crew commented that it was like a scene from the apocalypse.. Tank commander Gerry Solomon commented, "My troop leader's tank was hit and it immediately brewed up into flames. Reg, one of the crew, managed to get out. Most his clothes were missing. The few bits of clothes that he did have on were on fire. When we managed to get to him, they tend to him, his skin had all come off. It had just curled up. Later we had a look inside a burnt out tank. We saw a completely bleached skeleton with a pair of rimmed glasses still on the skull. With regards firepower the Honey's gun was inadequate against German armour which was three sometimes 4 inches thick. You shells just bounced off ". During the battle, the British light tank crews, received a sobering lesson on how ineffective, there 'pop-gun' was against the new German upgraded panzer tanks. This is what they called the 37 mm gun fitted to their M3 Stuart tanks. To get any chance of knocking out the German tank, they had to get within 800 yards. All the time they were doing that they would be under threat of being shot by a German 88mm anti-tank gun that had a range of 2 miles. Its shells were huge and devastating to Honey tank.. The battle became a great big slugging match where superior German guns and armour began to become an important factor. By the evening of 21 November 1941, 5th Tanks Honeys were involved in the desperate fighting at the airfield. Brigadier Jock Campbell took matters into his own hands. In an open topped staff car, during the heat of the battle, with shells and bullets flying everywhere, he urged the tanks to follow him. It was an act of courage bordering on madness for which he won the Victoria Cross. . The price of the renewed attack was heavy. Many tanks were knocked out and crews lost. In early December the British managed to relieve the siege of Tobruk and then went on to complete the re-conquest of Western Libya. After weeks of fighting Rommel managed to battle his way out of the Allied trap and withdraw with what remained of the African Corps. Who gave the M3 Stuart tank the nickname honey? 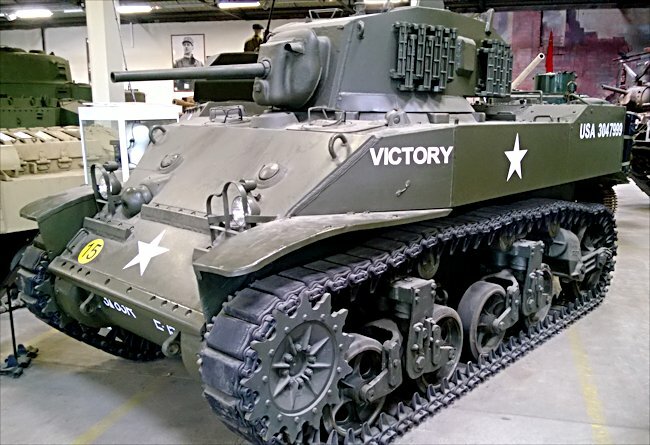 Because the British named many of the American tanks using the British Army under the American lend lease arrangement after US generals it is commonly believed by some that the British troops named the M3 light tank 'Honey' because it was such an improvement on the tanks they use before. This myth is wrong. David Fletcher, the British tank historian at Bovington Tank Museum, said that to the British the word 'Honey' means a sticky stuff produced by bees that you put on toast. The use of the word 'Honey' as a term of endearment or to imply that something is a good thing is an Americanism. If the British tank crews use the word honey to describe the M3 tank then they got it from the Americans. 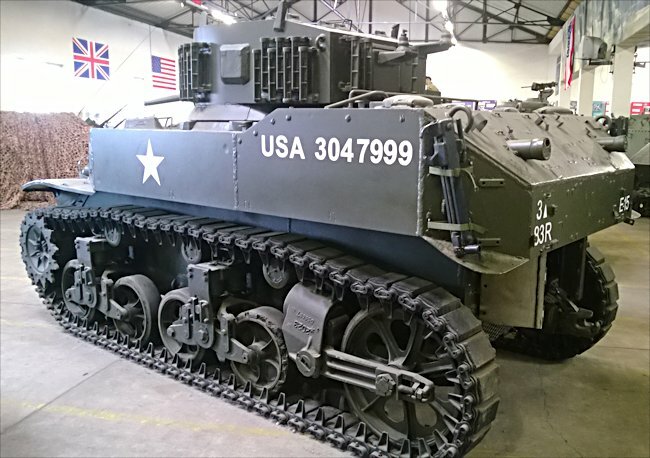 Where can I find other preserved M3 Stuart (Honey) Light Tanks?